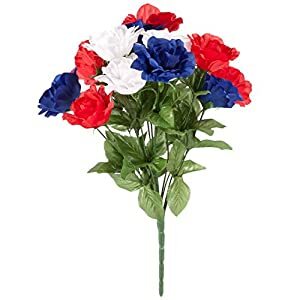 ★NEVER FADE: SOLEDI lifelike artificial flowers with bright colors and unique shape, are dignified, elegant, beautiful, vivid realistic and lifelike, will remain fresh and beautiful year after year. 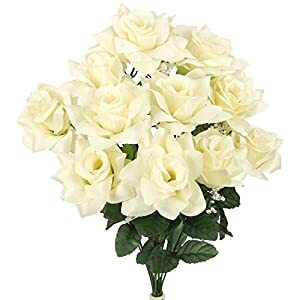 They will never wither or fall. 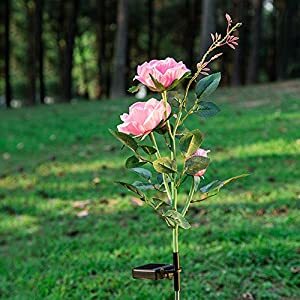 Its classic design and high realistic appearance can meet your decoration demands in all seasons. 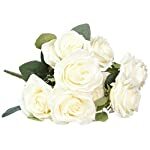 ★FLOWER LANGUAGE: Our handcrafted roses are symbol for love and romance, and special way to say “I love you.” The rose itself has long symbolized beauty and perfection. 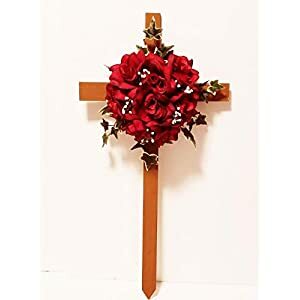 Respect, admiration, and devotion are often associated with a red rose. 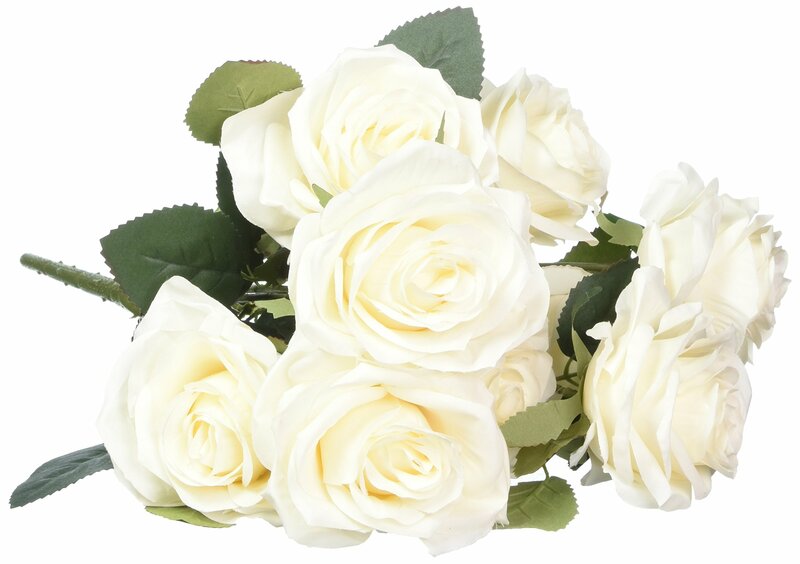 ★HIGH QUALITY MATERIAL: Made of high quality silk, designed by the best craftsman. 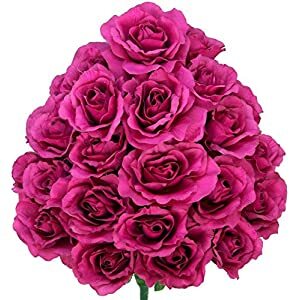 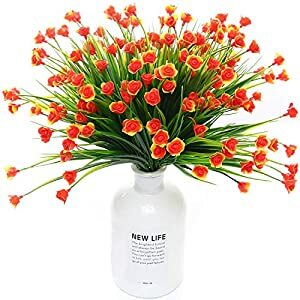 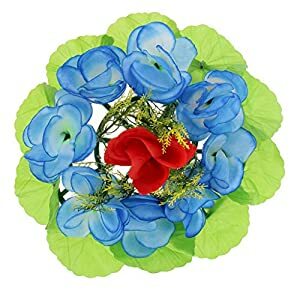 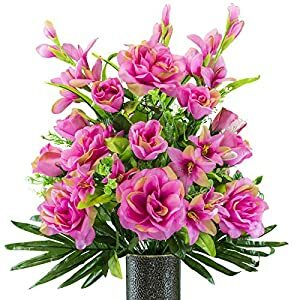 This flower bouquet is made of real-looking flowers with bright color, non-toxic and harmless, no color fading and no flower dropping off, more durable, easy to clean. 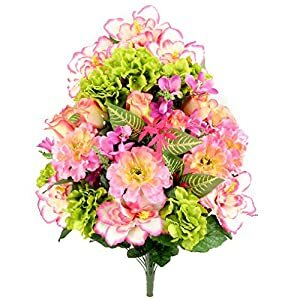 So Soledi approach on a regular basis is sunny day with stuffed with wish eternally. 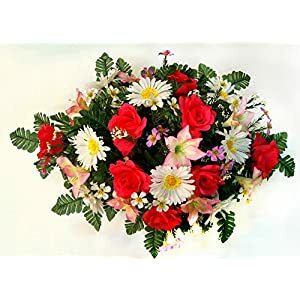 Upload this easy flower arrangement on your eating room table as a centerpiece, or place it on a nightstand, kitchen counter or anyplace else the place you desire to a marginally of Good looks.